Still looking for deals on holiday cards? 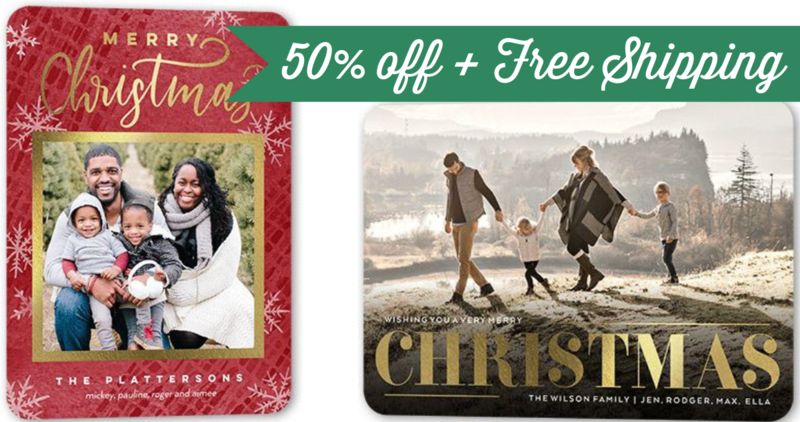 Today only, you can use this Shutterfly Coupon Code to get 50% off Foil & Glitter Holiday Cards + FREE shipping! This is a very rare offer from them, so go ahead and take advantage, plus they’ll ship out by Christmas as long as you order today! If you have a big Christmas card list, I found cards as low as 28¢ each when you buy 225 or more. If you only need as little as 12 cards, you can get cards shipped for only $11.04 + tax. This offer is for today only, 12/15.